Chelsea have announced their ticket prices for next season covering season ticket prices, concessions, general ticket prices and prices for cup competitions. 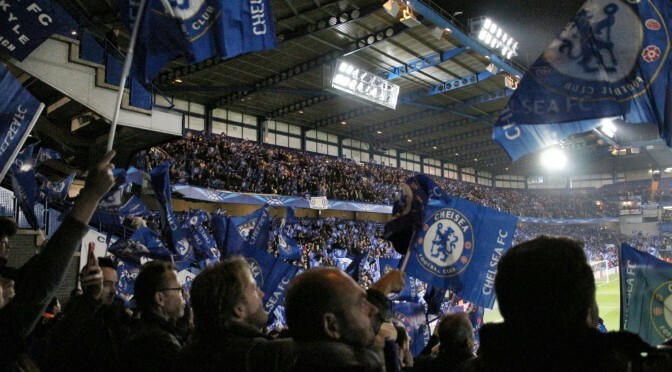 The Chelsea Supporters’ Trust welcome Chelsea FC freezing season ticket prices (remaining at 2011/12 prices and meaning that prices have not risen for 12 out of the past 14 seasons) and also maintaining the discounted prices for Cup competitions. However, we are very disappointed with the price increases for members and general admission in all adult categories for Premier League games. This will see an increase from £47 to £50 for members for a Category B match in the Shed or Matthew Harding Lower (cheapest tickets) and an increase from £56 to £60 for Category AA matches. Similarly prices for general admission tickets will increase from from £52 to £55 for a Category B match in the Shed or Matthew Harding Lower (cheapest tickets) and an increase from £61 to £65 for Category AA matches. This represents an increase of between 5.5% to 7%. The price increases for match day tickets for members and general admission appears to be particularly unfair on supporters who are unable to afford the financial commitment that a season ticket entails, especially at a time when personal finances may be constrained due to the wider economic conditions. Since credit and debit card surcharges were banned in January 2018, we presume that the £2 fee being charged for each transaction is to cover booking or admin fees for all forms of payment. However, we will seek clarification from the Club as to what this fee covers as it does seem unduly excessive. The Club’s commitment to offer subsidised travel and continued support for the away ticket price cap, as per the Premier League guidelines is also very welcome, especially considering the expense and difficulty with travel costs often as a result of rescheduled kick off times faced by our away support. However, any price increase must be viewed as disappointing when considering the vast amount of revenue received by Chelsea from the lucrative Broadcast deals negotiated by the Premier League. This is particularly irritating when considering the huge amount of inconvenience placed upon match going supporters due to the constant rescheduling and movement of matches to unpopular time slots. The results of the survey are presented to the Club. It’s that time of year again! 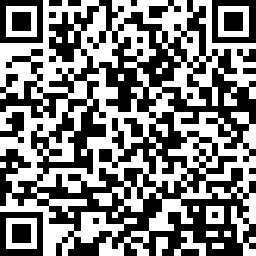 The Trust’s seventh Annual Survey is now open. Thanks to your participation the Trust will continue to operate on a mandate that truly represents our membership’s views about the issues affecting the Club. Once the survey has closed, we will produce our findings and then sit down with the Club to discuss the questions raised. Your opinions really do make a difference. The Closing Date is Monday 22nd April. Members have been emailed their own special link to the survey (please check junk mail folders if you have not received it). You can read about responses to previous surveys in the survey section of our website. 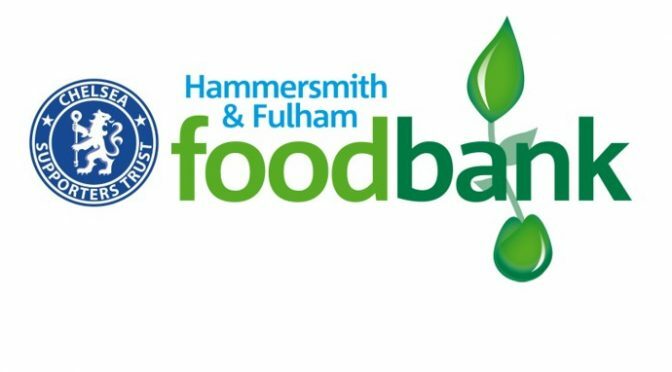 Chelsea Supporters Trust are pleased to announce that our next collection for the Hammersmith and Fulham Food Bank will be before Sunday’s league game against Wolves. It is important to note that you will need to please bring any donations there by 1.15pm, as we need to get them in storage before the match. Our thanks, as always, go to Chelsea FC who are kindly providing us with a storage facility for the donated items. We hope you can give generously from the list of items below or if you can spare any amount of money that is also welcome. For further information about Hammersmith and Fulham Food bank, visit their website or find them on Facebook and Twitter. Chelsea Supporters Trust are pleased to announce that we are having another collection for the Hammersmith and Fulham Food Bank. We hope that yet again, supporters will have a chance show their wonderful generosity! The next collection for the Food Bank will be before Saturday’s league game against Huddersfield Town. It is important to note that you will need to please bring any donations there by 1.55pm, as we need to get them in storage before 2pm. Our thanks go to Chelsea FC who are kindly providing us with a storage facility for the donated items. 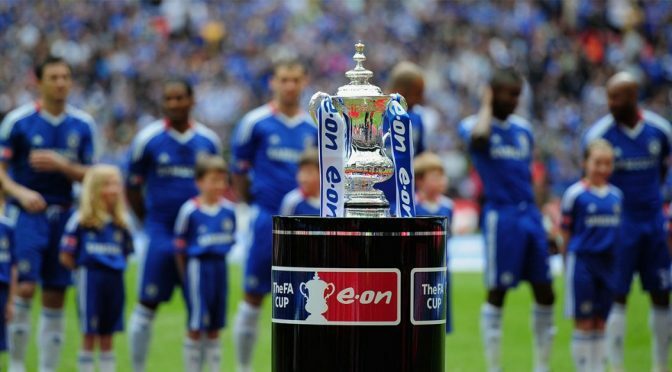 The Chelsea Supporters’ Trust is extremely disappointed to hear that the 4th Round FA Cup tie against Sheffield Wednesday or Luton Town has been scheduled for 18.00 on Sunday 27th January, due to the match being televised live by the BBC. While the FA Cup may be losing its appeal among some clubs and supporters, this is definitely not the case at Chelsea where FA Cup matches sell out match after match, year after year. However, we wonder how long this exceptional support will continue when the FA, in thrall to the Broadcasters, has sold the soul of football’s most prestigious tournament and in doing so shows nothing but contempt for supporters with inconvenient kick off times and the inherent transport difficulties and costs that ensue. A 6.00 pm kick-off on a Sunday evening will be particularly hard on Sheffield Wednesday supporters, should they beat Luton Town in the replay, with travel back up to Yorkshire late on a Sunday night especially difficult. But it’s not just the away supporters who will find it difficult, whether from Sheffield or Luton. Many Chelsea supporters also travel long distances to watch Chelsea play at Stamford Bridge. For reasonably priced FA Cup ties, many supporters take their young children, possibly for their first match. With a kick off time of 6.00 pm those plans may now change and many kids will now be disappointed. At a time when the clubs and the game should be doing everything they can to encourage the next generation to attend football matches, it seems obtuse to deny access through a late kick off time to the very same people. Presumably they’ll be able to watch it on TV, which is where the game seems to be heading; a game no longer for supporters watching in stadiums, but for those in the comfort of their armchair. Supporters have already expressed frustration and anger at the lack of traditional 3.00 pm kick off times and the number of early, late or Friday night kick offs, due to broadcast demands in this season’s FA Cup. This follows on from the extortionate ticket prices charged by the FA for the Semi-Finals and FA Cup Final last season, a point we made vociferously at the time. If the FA Cup wishes to retain its pre-eminence as the most loved tournament in football, then the FA would do well to heed the concerns of the very people who make it what it is and ultimately who it serves: The Supporters. 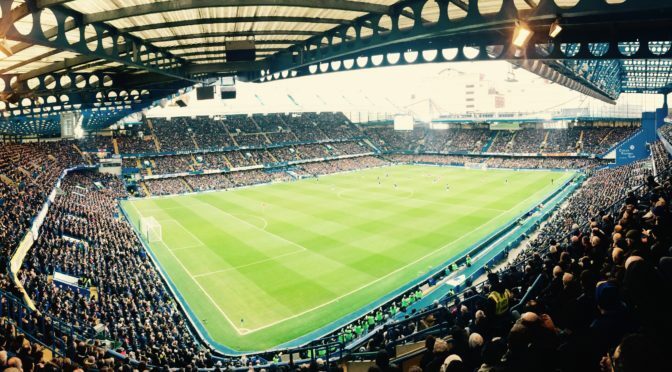 The issue of anti-Semitic chanting at Chelsea matches has received widespread coverage in the media recently. The Club and the Trust have both publicly condemned such chanting. 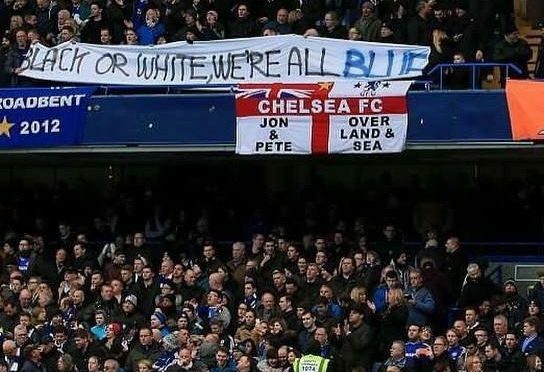 While it is true that the majority of Chelsea supporters do not behave in a racist and anti-Semitic manner, a minority continue to chant words that are offensive to Jewish Chelsea supporters and indeed our owner, Roman Abramovich. What is often overlooked is the impact this has on those who hear it in and around the stadium on a match day. We were contacted by a mother and son who experienced this at first hand and gave us permission to share their experience of anti-Semitism at Stamford Bridge. The following account exemplifies what it means to our own Jewish supporters who hear anti-Semitic chanting during matches. Mother and son Karen and Jack are lifelong Chelsea supporters. On Saturday 22 December, they attended the Chelsea v Leicester match at Stamford Bridge. (Names have been changed). Karen: My Dad was born in Worlds End, Chelsea. He lived in Parsons Green, and had a season ticket. His father was a supporter when they created the club in 1905. So my family have been supporting Chelsea since the very beginning. I’ve been going since the late 70s. So when my kids were born there was no question about who they would support. We are all members – that’s how we buy tickets. Alternatively we sometimes use friends’ season tickets when they can’t go. For the game against Leicester, we sat in the Matthew Harding Lower – on the East Stand side. It was a friend’s season tickets. The majority of the people who sit around those seats are really friendly. Chelsea is a big part of my family’s life. We’re British, and we’re also Jewish. But we are very much a Chelsea family and ethnicity should not be relevant to our love and support of our beloved Chelsea. Jack: I’m at university in the Midlands, and I try and get tickets for games nearby. I went to the Wolves game recently – I was in the home end! So I had to remain quiet the whole game. I went to West Brom when we won the league. Even though it was impossible to get tickets we went to a Chelsea pub close to the ground to soak up the atmosphere. It was a great night. But there were people in that pub – Chelsea fans – singing about Spurs fans, and how they don’t have foreskins. People from my age into their 50s. That’s out of order. There is ignorance there, but why would you make a statement like that? Karen: Against Leicester there was somebody behind me and Jack, and he was chanting a lot. He was really loud: one of those people that want to try and get everyone singing. He started chanting ‘we hate Tottenham’. And then he suddenly shouted ‘We hate Y-ds’. It was a white guy in his 40s. His mate told him: “Be careful” and he stopped. Karen: I thought: ‘These are not my seats. I’m sat next to someone who I don’t really know, and I wasn’t sure how they might react if I made an issue of it. Later, when I mentioned it, they said: ‘I would have reported him’. I know this happens, but it was so close by. It felt like an assault. I don’t like what Tottenham call themselves. I find it uncomfortable, and it certainly isn’t helpful. It is meant to be an offensive term. But whatever Tottenham call themselves, it doesn’t ever excuse people shouting about hatred for Jews. I was left feeling: ‘What have I done to him? Why would that man, or anyone, not like us – simply because we are Jewish?’ They don’t know me or Jack. Jack: It has definitely got worse in recent seasons. I think social media has a bit of a role to play in it. It is a bit stupid and short-sighted though, especially as our owner, Roman Abramovich, is Jewish. It is ridiculous that it is that aspect, with Tottenham or whoever, that someone would pick on. Karen: Should anyone not understand: the word is a derogatory word about Jewish people. Whoever you might be directing it at: if Jewish people are present, then it us who are hurt by it. But what I don’t understand is this… If you know that ‘Y-d’ is a bad word, but you don’t know what it means, then how could you possibly think it acceptable to shout it out in public? There has been so much in the media about this, and about stopping it, and people are surely well aware that it’s not acceptable. There is maybe some testing of the boundaries going on here. Jack: There are a million things you can sing about football. You don’t have to bring in race, religion, whatever. It’s not relevant to sport at all. It is really upsetting for anyone – for any race or religion – to receive targeted abuse. Even if it is not calculated to directly hate those people. Karen: As I said, I’m British, and I’m Jewish. But I’m proud to be British, even though there are times when it just makes me ashamed of some people who are the same nationality. Like a lot of Jews, I do have a family link with the Holocaust – relatives who escaped and some who were exterminated. If you said back then, in the 1930s, that things would end up as they did – then a lot of people would have been insistent that it couldn’t happen. It did happen. Little things have the potential to become terrible things. Shouting abuse about any race or religion is dangerous. Jack: I think the club’s Campaign against Anti-Semitism is brilliant. I think they should try to educate and reform people. Teaching people about why this is a problem, for us as Jews, is important. I think there needs to be a wide understanding of that. 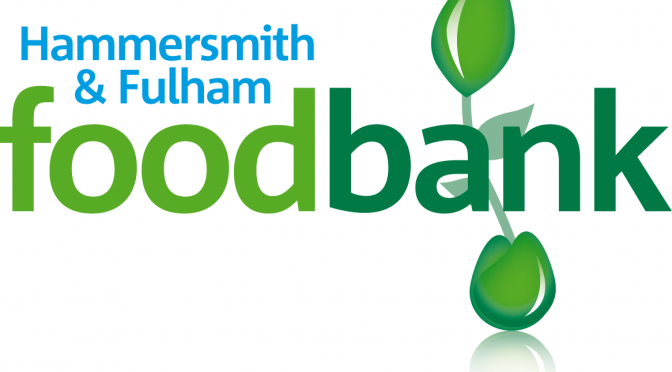 Chelsea Supporters Trust are really pleased to announce that following the successful collection for the Hammersmith and Fulham Food Bank, supporters will have another chance show their generosity! The next collection for the Food Bank will be before Saturday’s FA Cup tie against Nottingham Forest. If you are coming to the game on Saturday, the collection point for donations will once again be at the CFCUK stall which is opposite the Fulham Broadway Centre and next to the old Fulham Town Hall, please bring any donations there by 1.55pm. 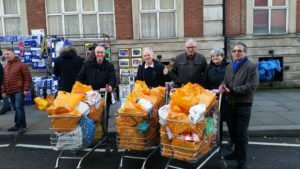 H&F Food Bank – Thank you ! A huge thank you to all who donated to the Chelsea Supporters Trust collection for the Hammersmith and Fulham Food Bank before the Leicester game on Saturday. Your generous donations meant we were able to fill up 3 trolleys of much needed food and toiletries. This be will much appreciated by those in need this Christmas. Aside from all the items there were some very generous cash donations too. Well done to Trust board member, Cliff Auger, who is the driving force behind this great initiative. Thank you also to Sainsbury’s in Fulham Broadway shopping centre for letting us borrow their trollies, and Chelsea FC for enabling us to store the collect food inside the ground. The Chelsea Supporters’ Trust welcomes the clear and unambiguous open letter published by Bruce Buck, Chairman of Chelsea FC, today. 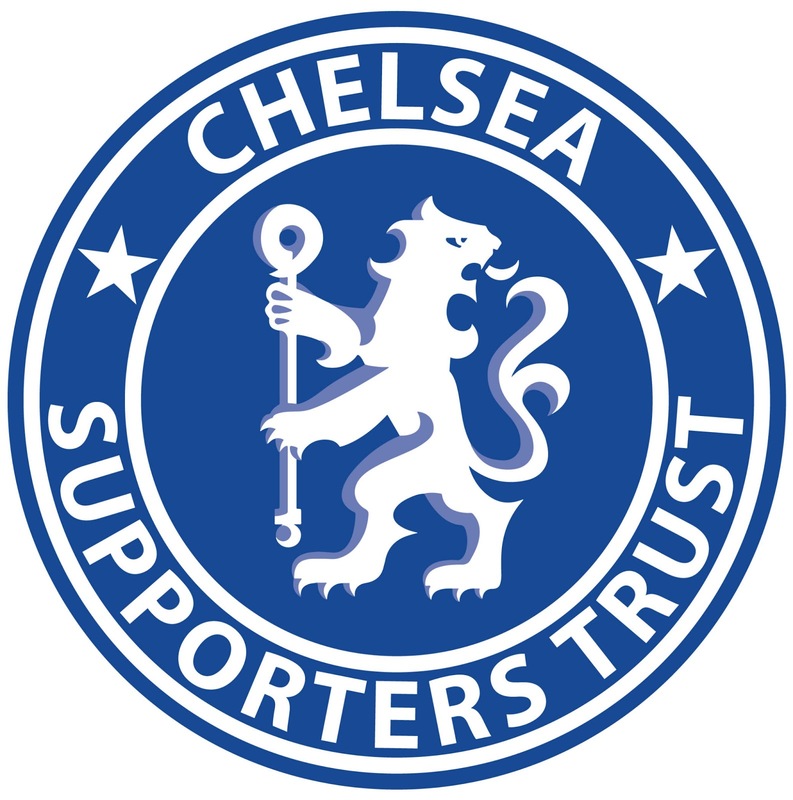 The Trust wholeheartedly supports the club’s stance and confirms its commitment to working with Chelsea FC to promote inclusion and eradicate all forms of discrimination. 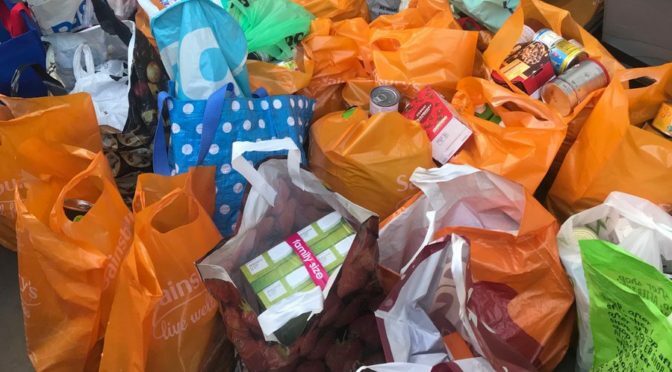 Chelsea Supporters Trust are really pleased to announce that our very successful collections for the Hammersmith and Fulham Food Bank will recommence before this Saturday’s home game against Leicester. If you are coming to the game on Saturday, the collection point for donations will once again be at the CFCUK stall which is opposite the Fulham Broadway Centre and next to the old Fulham Town Hall, please bring any donations there by 2.00pm.